Styled with dowling shirt and mavis t-shirt . 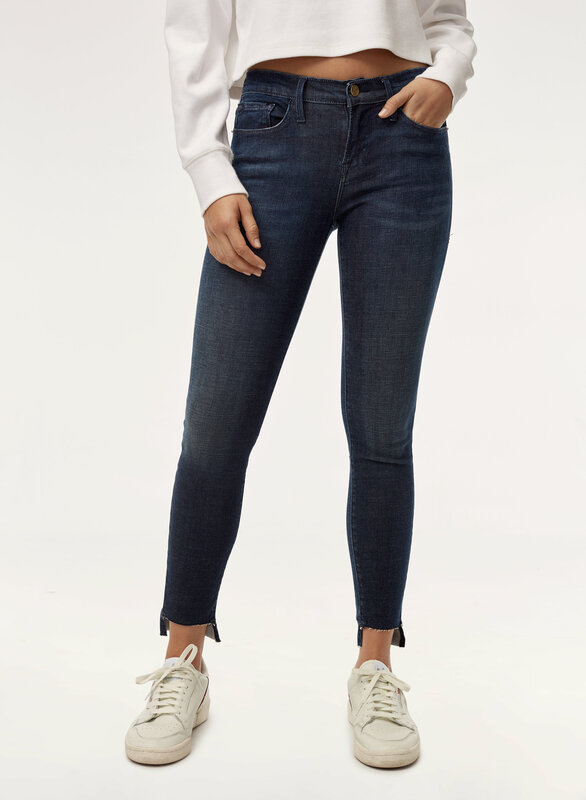 A FRAME favourite, Le Skinny is made with super-stretch denim that holds you in and keeps its shape. This version sports a raw hem. 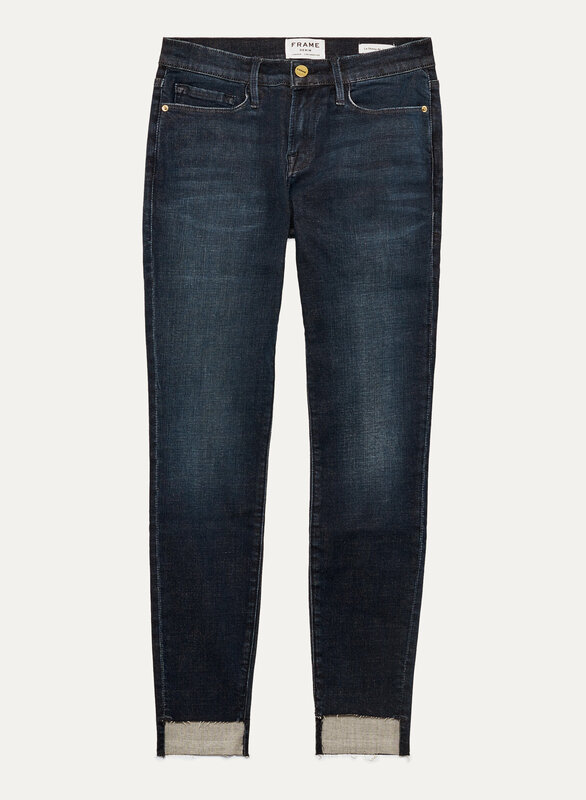 Very comfy, super cute raw hem. I got on sale, for a great price! Very comfortable. They look great and have a goof stretch. I like the darker wash but it's not too dark! These jeans are my new favourite. They fit perfectly, are very flattering and are very comfortable.